Pack your bags this home will have you at Hello! 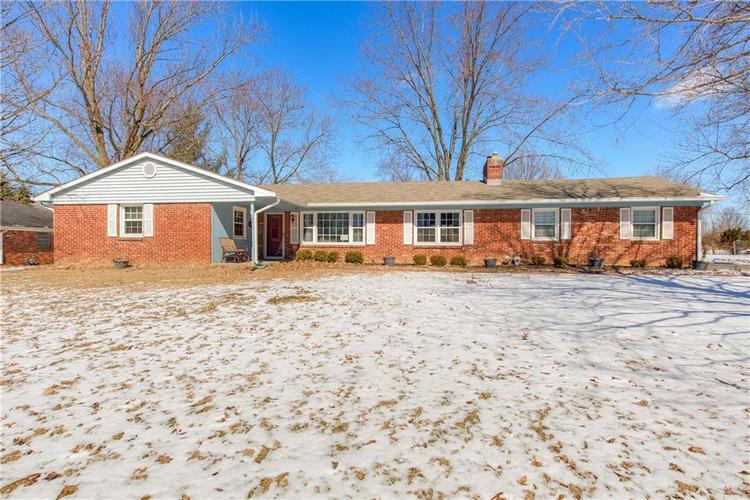 Charming Move-In Ready 3 Bedroom / 2 bath Ranch offers sparkling hardwood flooring and updated paint throughout. Formal Living Room with plenty of natural light, family room with decorative chair rail and wood burning fireplace, Kitchen with modern cabinets, SS Appliances, pantry and updated flooring. Owner's suite boosts dual closets and private bath. Additional bedrooms are sure to impress. Relaxing backyard retreat with spacious screened porch. Newer water heater, water softener, air conditioner, HVAC, gutters, windows, sliding glass door and fresh paint interior/exterior. This home is a MUST SEE! Directions:Intersection of East 82nd Street and Allisonville Rd, East on 82nd Street. South on Hague Rd. West on Kimberly Rd. Home is on the right.